Tip #1: Healthy shopping is not just about the store perimeter. 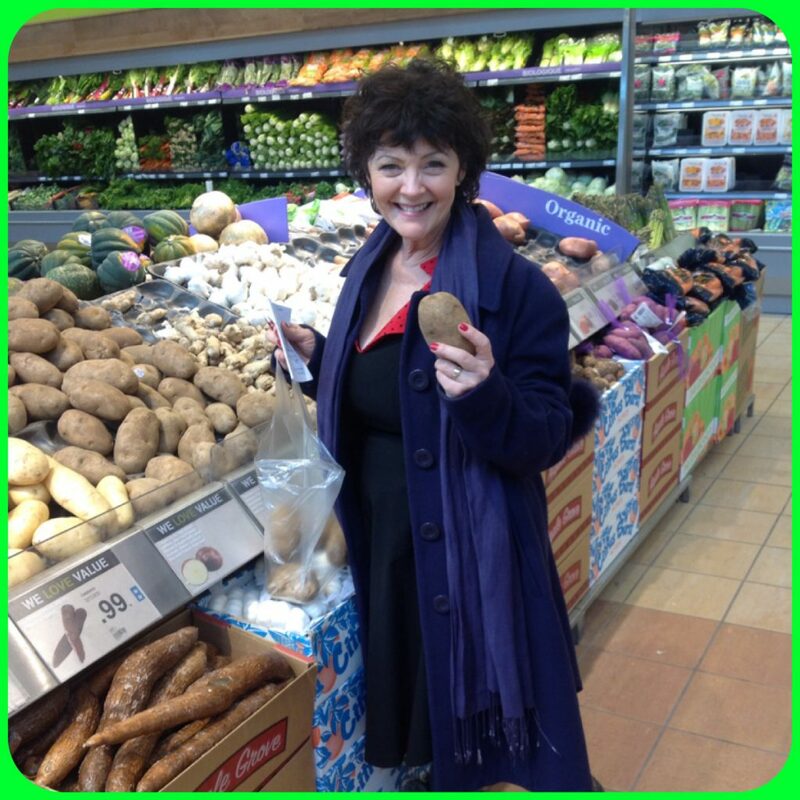 You can find healthy food in the inner aisles too! You’ve probably heard that you should shop the outer aisles of the grocery store. It’s good advice – that’s where you’ll find vegetables and fruit, fresh lean meat, poultry, fish, eggs and milk products. But don’t avoid the inner aisles! There are lots of healthy choices there too. You’ll find nutrient-rich staples such as no-salt-added canned tomatoes, dried legumes (beans, peas and lentils), whole grains, high-fibre cereals, nuts and low-sodium canned light tuna and salmon. Choose more of these items along with fresh foods from the outer aisles. Steer clear of processed, packaged foods that are low in nutrients and higher in salt or sugar, such as salty snack foods, sugary drinks and packaged baked goods. Tip # 2: Love the smell of freshly baked bread? Follow your nose to whole grain baked goods. The smell of freshly baked breads wafting through the grocery store can be tantalizing. You don’t have to cut bread out all together, just make smart choices. Breads made with whole grains have more vitamins, minerals, fibre and other nutrients that are good for your health. People who eat a diet rich in whole grains are more likely to have a healthy heart. Check the ingredient list for the words “whole grain” in front of each ingredient name. Tip # 3: Grocery shopping for one or two? A smart strategy will help you save money. Shop in the bulk section. You’ll save money by buying only what you need. Shop as a team. Grocery shop with a friend so you can split large packages and take advantage of volume discounts such as, club packs or “buy one, get one free” deals. Buy only what you need. Break up a bunch of bananas, buy half a dozen eggs and ask the butcher to split packages of meat. If you do buy bigger packages of meat, divide and freeze in single portions. Tip # 4: Check percentages! Nutrition labels work best when you use them to compare products. When you know how to read nutrition labels, shopping for healthier food gets a little easier. The Nutrition Facts table provides information on the calories and nutrients in a specific serving size of food. You can check the serving size and compare it to how much food you actually eat. The % Daily Value (% DV) on the Nutrition Facts table shows you if a food has “a little” or “a lot” of a nutrient. For example, 5% DV or less is a little of a nutrient, and 15% DV or more is a lot of a nutrient. You can use the % DV to compare food items and make better choices. Tip # 5: Convenience foods can be good for you: Find healthy options in the produce section. Pre-cut butternut squash: Simmer in broth to make a nutritious soup in minutes. Ready-to-go stir-fry vegetables: For a quick meal, just add tofu, cashews, or leftover chicken or beef, and you’re ready to go! Pre-made salads: For a simple, light lunch or dinner, just sprinkle with almonds and serve with whole grain bread. Tip # 6: Think before you buy your drinks. Choose drinks that contain no added sugar most of the time. Store eggs (in their carton) and dairy products inside the fridge, not on the door (that’s the warmest part of the fridge). Put meat and poultry into containers on the bottom of the fridge so juices won’t drip and contaminate other foods. Split bigger packages and freeze in meal-size portions for easy defrosting. Keep tomatoes on the counter, out of direct sunlight, so they stay fresh and flavourful. Cut-up veggies in ready-to-eat portions so they don’t go to waste and are easy to grab–and-go. TIP 8: Looking to save cash and calories? Easy money-saving strategies can help you do both! Pay with cash, not plastic. You’ll have to stick to your budget if you bring only the amount of money you plan to spend. Think small. Those jumbo packs of snacks aren’t a bargain if you end up throwing some away, plus having bigger packages at home means you’ll eat more. you may be more likely to buy less healthy foods that aren’t on your list. TIP 9: Have different food needs in your family? Everyone wins by planning together before you shop! Elderly parent? Picky toddler? Newly declared vegetarian teen? Food allergy? When shopping for family members with different health needs or preferences, it helps to plan ahead. Plan menus and grocery lists together. Look at cookbooks, magazines or websites for meal ideas. Try a “do-it-yourself” meal such as fajitas, tacos, sandwiches or salads. Put all the healthy ingredients on the table and let everyone assemble their favourite combo. TIP 10: Quality counts! Choose foods based on overall nutrient profile, not just one healthy ingredient. One healthy ingredient doesn’t necessarily make a food a healthy choice. For example, cheesy popcorn starts off with a healthy ingredient: whole grain popcorn, but the final product has almost as much fat and more sodium than potato chips. When shopping, read food labels and consider a food’s overall nutrient content. Some foods that are low in fat and salt, such as candy and pop, can be high in sugar and calories and low in nutrients. Choose foods that have more of the nutrients you want, such as fibre, vitamins and minerals.